Ahead of a European standards-setting organization vote on competing nano-SIM proposals from Nokia and Apple, the Finnish handset maker has dismissed Apple's offer of royalty-free licenses as seemingly "no more than an attempt to devalue the intellectual property of others." Earlier this month, Apple pledged to offer royalty-free licenses to any patents essential to its proposed nano-SIM standard provided the specification is accepted by the European Telecommunications Standards institute (ETSI) and all other patent holders accept the same terms with reciprocity. However, a Nokia spokesman told IDG that the company is unaware of any essential patents that Apple holds for the proposal. "In light of this, Apple's proposal for royalty-free licensing seems no more than an attempt to devalue the intellectual property of others," he said. Photos of prototype versions of Apple's proposed standard emerged on Monday. According to The Verge, Apple's design is "in many ways the least controversial" because it maintains the old configuration of electrical contacts. Nokia also alleges that Apple's proposal does not meet the ETSI's requirements. 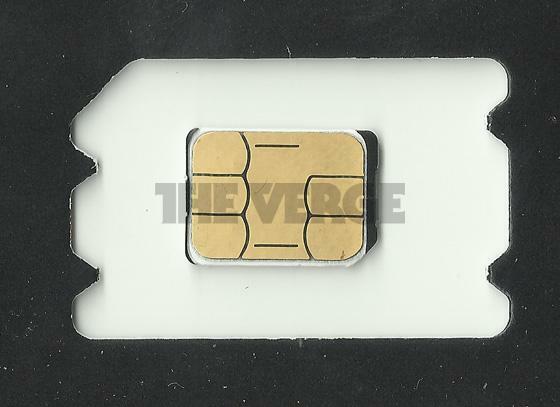 The handset maker argues that the similarity between the length of Apple's nano-SIM and the width of current-generation micro-SIMs would violate a "no jamming" rule from the standards-setting body. The ETSI is scheduled to vote on the "fourth form factor (4FF)UICC" proposals on Thursday.